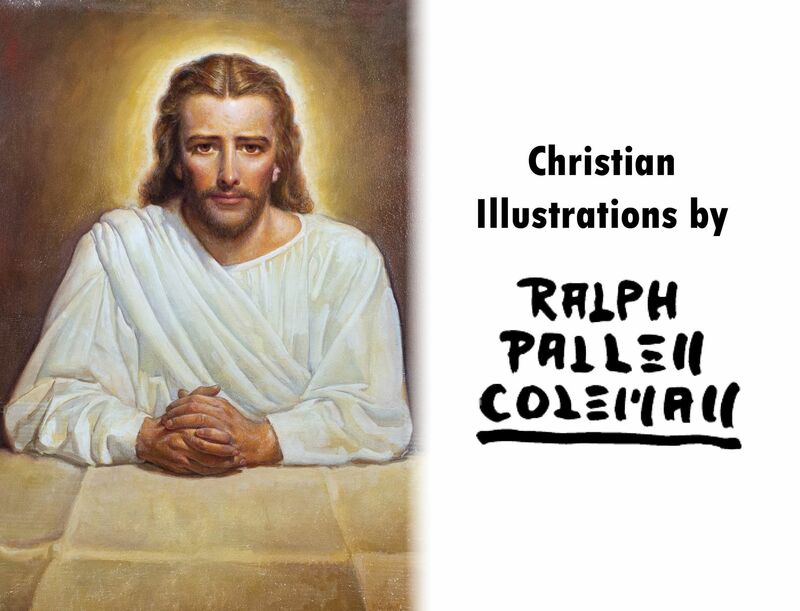 Over 150 pages of paintings, Bible verses, commentary, and behind-the-scenes archival images featuring the work of Ralph Pallen Coleman. Hardcover coffee table book featuring the art of Ralph Pallen Coleman, reproduced in stunning colors on large, glossy pages. The perfect gift for any art lover. Join us on Facebook to get access to archival material about Ralph Pallen Coleman,including vintage photographs, original sketches, and personal notes. Ralph Pallen Coleman, a lifelong Presbyterian, was an elder and trustee at Grace Presbyterian Church in Jenkintown, Pennsylvania. Religious images were always very powerful messages for him and he was able to integrate this passion into his professional career. 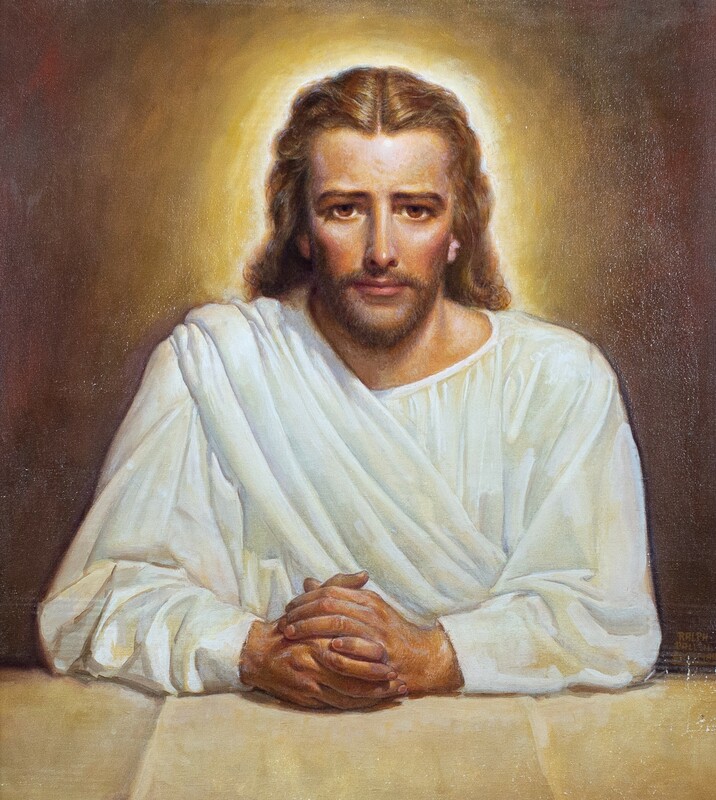 His first commission as an illustrator was for a drawing at the request of the American Sunday School Union in 1914. Even during the Twenties and Thirties, when his output was primarily for the popular magazines, Coleman turned out a steady, if limited, stream of religious and Biblical paintings for Providence Lithograph Co. and various denominational publishing houses. 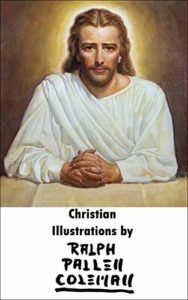 But it was not until the 1940s when he was well into middle age, that Coleman embarked on a virtually new career — that of Biblical and religious artist, producing more than 400 religious paintings and murals. 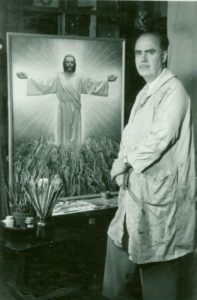 In his later years after 1942, Coleman was able to use his illustrating skills to present a realistic kaleidoscope of hundreds of Biblical illustrations, culminating in the most complete series of paintings on the life of Christ ever done by a contemporary artist.